Kermanshah earthquake: Abshouran is emblematic of life in the province. The people’s generosity defy the cover-up of the disaster and the theocracy’s venom. All of us, the earthquake victims, are most grateful to the people of Iran, old or young, from each community and religion. Inshallah, we shall redeem you in your merriment. On November the 12th, the 7.3 Richter scale earthquake was recorded when most people had their after-dinner teas. Next day, with difficulty, we reached our correspondents. We wanted to hear from them. We had worked together on the last six posts that had been published since September. Kermanshahis are usually ready for a laugh and a quip. This time, Mehdi shouted over the phone, a loud cry that was to be heard over the mountains without a loudspeaker: تف به گور مصیبت. Spit on disaster’s grave. Kermanshah lived through the Iran-Iraq war in the 1980s and was left to cope with the war ruins on its own. Tehran was not interested in the province. This time it will not be much different, despite the visits and promises from President H. Rouhani and even the Supreme Leader Ali Khamenei. Both were copiously booed. Notwithstanding his frank and to the point sentences, Mehdi likes allegories. He is a Kurd. The Kurds I have befriended despise the poisonous circumvolutions of vain words, Ta’arofs, so much praised as a manner of speech by the Tehranis. 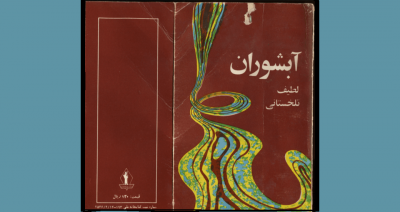 I promised Mehdi I would publish from the book he sent me many years ago: Abshouran, a collection of short stories, emblematic of today’s life in the province. 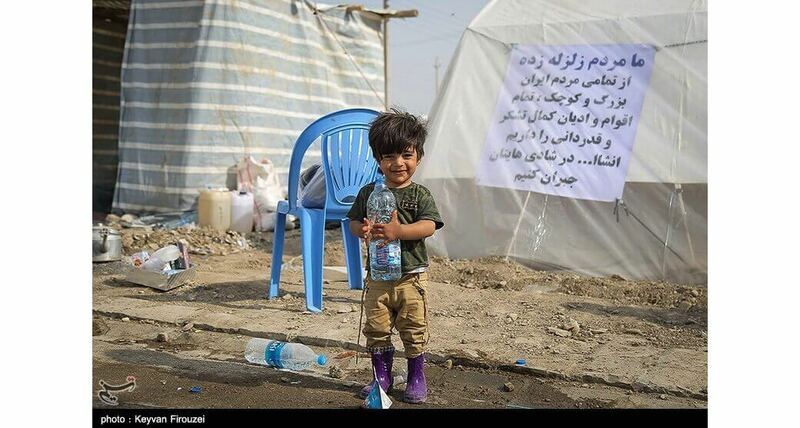 The stories are told by a little boy born into a poor family in Kermanshah. Ashoura was the place old dogs died, ducks mated and people threw their rubbish. It was our playground. In spring, the flood covered the banks, the angry water swept through houses. It was powerless on the houses built upstream with mortar and bricks. It took its irked revenge on our pisé houses. The water brought the sewage broth and rubbish, leaving them on our doorsteps and in the room. It also brought to us the withered bouquets of flowers from the warm houses of upstream. They just did not have the language to greet us: Salam! The flood broke the wooden, shaky bridges. We took a longer route to go to school and were beaten for being late. My mother, naneh, would wipe her tears with her chador. Dad, baba, would drop his head down and would spit on the ground: تف به گور مصیبت. spit on disaster’s grave. The novels are written in Farsi with Kermanshahi expressions, deliciously short and to the point. We have reproduced them in our Farsi section. If ever anyone could have translated the novels into French or English, he could only have been Mohammad-Ali Jamalzadeh. Not us. Since the 1970s, the persistent drought has dried the Abshouran river. The spring floods have lost their power to remove the dirt and push it further down the river. The wooden and shaky bridges over the piles of waste are still there to remind people that no change is the country’s motto. Today, the generosity and kind help from fellow citizens for the earthquake-stricken people are defying the empty words and the cover-up of the disaster from the meanness of the officialdom. Naturally, in a few weeks, the emergency help will diminish before vanishing altogether. As it did in the aftermath of the Bam earthquake in 2003. Only a handful of volunteers will again work in the long term and try to bring comfort to the miseries that only the state is able to resolve. But the Iranian theocracy is more interested in generously spending its money elsewhere in the Middle East than in providing for its citizens. 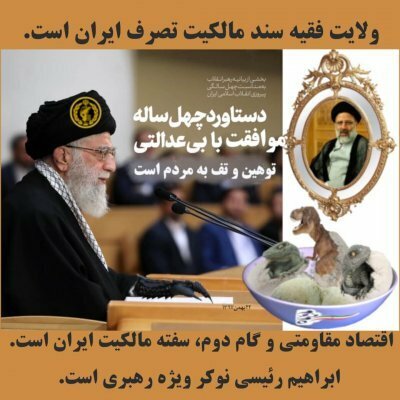 The latter are sick and tired of the Islamic revolution’s nefarious triumphalism and the proxy wars. However, they still have to figure out and realise the power they have to kick the ayatollahs back to their dens.